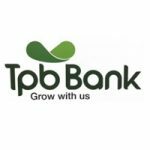 TPB Bank PLC seeks to appoint dedicated, self-motivated and highly organized Manager Internal Audit to join the Directorate of Internal Audit. The work station is Dar es Salaam. To provide an independent and objective assurance on the effectiveness of the internal control and risk management process in the bank.  Participate in preparation of annual internal audit plans and budget for the directorate and audit strategies.  Extract and analyze data (i.e. deposit, loans and other assets/liabilities of all TPB branches/departments/divisions) for audit purpose.  Undertake risk assessments relating to each audit engagement and ensure that the audit work is effectively focused on areas assessed as high risk.  Carry out risk assessment procedures and execute value for money audit.  Carry out audit field work for both at branches, Directorate, divisions and report on the findings and recommendations for proper action.  To evaluate the adequacy of the internal controls system and the reliability of financial reports and management of data and information.  Review systems procedures, policies, controls and guidelines and recommend improvements.  Review and report on the accuracy, timeliness and relevance of financial data used in preparation of Bank financial statements.  To ascertain the level of compliance with established policies, procedures and legal requirement such as Bank rules and regulations, IFRS, BOT Guidelines, Banks and Financial Institutions Act, and the bank’s strategic plan.  To review and report on the compliance to the internal controls set by the bank.  To prepare audit work papers by documenting audit tests and findings and evaluating the sufficiency and appropriateness of audit evidence to support conclusion drawn and files for future references.  To prepare audit reports and recommendations to improve the efficiency in bank’s operations.  To follow up replies of internal, external and BOT examiner on audit findings and recommendations and verify implementation of their recommendations.  To assist external auditors and BOT in carrying out their assignments as appropriate.  To assist in undertaking audit and special investigation, inspection and surprise checks and give results there on.  To perform any other duty as may be assigned by higher authorities. Bachelor degree in Banking, Accounting, Finance, Business Administration, or any related field.  Minimum of three years working experience in dealing with audit or accountancy.  He/She should be registered with Professional bodies like National Board of Accountancy and Auditors (NBAA), The Institute of Internal Auditors Tanzania, ACCA, CISA and Tanzania Institute of Bankers (TIOB).  Good knowledge of auditing with significant experience in banking industry will be an added advantage.  Excellent communication and report writing skills.  Strong knowledge of Ms Office application, including word processing and Excel.  Prioritize tasks and organization. of applications starting the job advertised and the location in the subject matter. Other credentials will have to be submitted during the interview for authentic check and other administrative measures and should not in any way be attached during application.